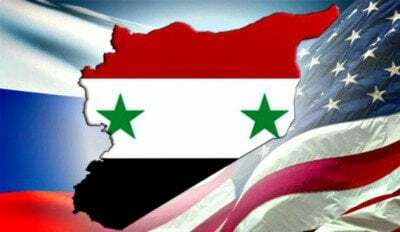 The United States and Russia exchanged allegations of ceasefire violations against both of their respective proxies on September 15th. According to Moscow, US-led forces has violated the ceasefire 32 times. Russia shared unprecedented live footage from one of their reconnaissance drones flying over Aleppo to monitor the ceasefire conditions below. The Syrian Arab Army began withdrawing from the Castello Road in order to create a ‘weapons-free-zone’ in the contested region. The Kurdish YPG forces raised the flag of the United States over Tell Abyad at the Syrian-Turkish border. The reported purpose behind the flag-flying was to discourage Turkish airstrikes. The terrorists also launched several rockets, which landed outside of Jayroud, Damascus. The Islamic State suffered its own losses at the receiving end of Russian airstrikes on al-Mayadeen, outside Deir ez Zor. The terrorist militants reported 15 killed and 40 injured. Syrian warplanes delivered a series of airstrikes in northern Hama, repelling advance of local jihadi groups on the government-controlled areas. Airstrikes were reported near Taybat Al-Imam, Souran, Kawkab, Al-Lataminah, and Kafr Zita. There are rumors that the Syrian government forces are preparing a large-scale offensive in the area in order to re-take from terrorist groups the territories that they had lost within last 3 weeks.